The Open returns to St Andrews, and tees off next week! To celebrate we have teamed up with Fife Golf Trust to offer one Adult and one Junior Season Ticket! Unlimited golf at any Fife Golf Trust Course until 31st March 2016! To be in with a chance of winning, just fill in the form below. 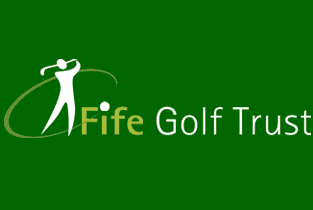 Fife Golf Trust Manage 7 Golf Courses throughout Fife in Dunnikier Park, Glenrothes, Auchterderran, Kinghorn, Scoonie, Cowdenbeath and Lochore Meadows. Adult Rover Season Ticket – Unlimited golf at any of the 7 courses only £199! Concessionary Rover Season Ticket – Unlimited golf at any of the 7 courses only £69! The first 6 people to buy an adult season ticket for Glenrothes will get a free ticket to The Open practice on Wednesday 15th July! If you're not lucky enough to win, Fife Golf Trust check out some of the special offers for the local courses here. Would you like to enter the competition?